FC Porto joined AdF and Hublot for the Big Bang “FC Porto’s” watch, as a commemoration of the club’s 120 years. In shades of blue, as might be expected, this true work of art will be limited to 120 units and its buyers will have a part of FC Porto history on their wrist. 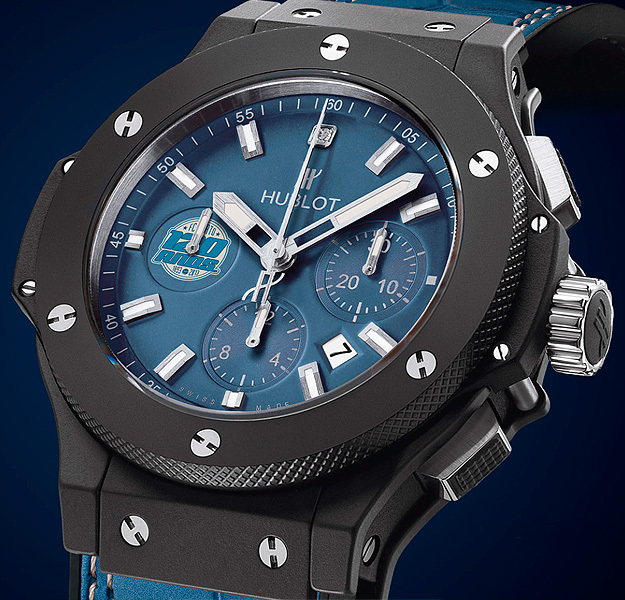 It is a unique piece, of singular good taste with the brands FC Porto and Hublot. For lovers with a spirit of conquest and victory. Holding this watch and hearing the sound of the Hublot’s Big Bang FC Porto ticking, is a hymn of feelings to a club conquering glories that last throughout time. It is a feeling of being a champion all the time.